21 yrs ago I was working in Kuala Lipis, a small town situated right in the middle of Peninsular Malaysia, I was renting a room in a village house, and the house owner was an 71yrs old man whom he told me that his fore father was a gardener for a province administrator in the Kwang See Province of China. He plant n cultivated lots of bonsai within his house compound. There were many different species of plants and trees n some bonsai trees were from the jungle nearby which the name were just unknown. However all his bonsai were mini and small. 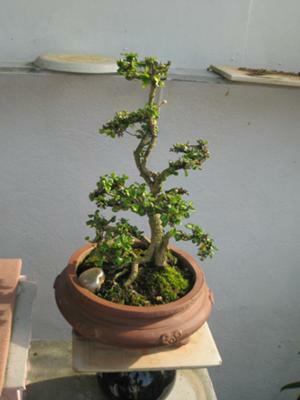 I learned very much from this old man about bonsai n from there onwards the interested in cultivated bonsai never end.